Welcome to the Cherished Blogfest. We – Dan Antion, Sharukh Bamboat, Damyanti Biswas, Mary Giese, Peter Nena, Cheryl Pennington and Kate Powell – invite you to share the story of one of your cherished objects. Tell us what it is, post a picture of it if you like, and tell us why you cherish it. Keep your post to 500 words, and join us on the 29th, 30th or 31st of July 2016 in sharing memories, emotions, and information. Above all, join us in making new connections, and renewing old ones. Sign up in the Cherished Linky List, which will open in a new window. Also, you can follow this blog to be notified of a few updates along the way. Note: Signing up today indicates that you want to participate in the blogfest. We will be pointing to this page as we promote the blogfest. When the blogfest actually goes live on the 29th, you will be asked to enter the information about your entry into a second Linky List. That list will be preserved here so that your post will continue to be associated with the Cherished Blogfest and people will always be able to find your post from this site. This entry was posted in Cherished Blogfest and tagged #cherishedblogfest, blogfest, challenge, cherished objects, July on June 26, 2016 by Dan Antion. Husband, father, woodworker, cyclist, photographer, geek - oh wait, I’m writing this like I only have 140 characters. I am all those things, and more, and all of these passions present me with opportunities to observe, and think about things that I can’t write about in other places. I have started this blog to catch the stuff that falls out, overflows and just plain doesn’t fit the other containers in my life. It will be my first time and I am excited to join in. Joining for the first time and very happy to do so. It will be first time I will be taking any blog fest. :):) Thanks for organising such a great event. Very glad to have you with us! Thank you for thinking of such an engaging blog prompt. So happy to join and post mine. Thank you very much for letting me become a part of this wonderful group. Could one submit more than one post to the fest? Just looking to find out if this would be one time submission to this wonderful online community or multiple submissions could be made? I’m sorry if I didn’t get back to you in time to enter this. If you do have a second post (which would have been fine) send me a link to it (or post it here) and I’ll enter it manually. Thank you. No problem. After reading the home page and if I am understanding correctly, one would get to post their blogs to the fest only three days of July every year? Sorry, just want to be sure. I can’t believe I missed it! I had my blog post written almost three weeks ago…would you be willing to enter my blog post manually? It will be back next July. If you follow the CBF page, you’ll bd reminded. The CBF page on your site or somewhere else? Let me know and I shall follow it. 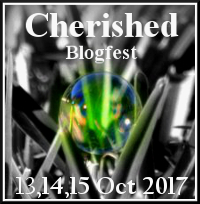 https://cherishedblogfest.wordpress.com We’re going to start featuring some of this year’s post next week. We hope to do one or two a week until next July. Pingback: MAA #CherishedBlogfest 2016 – Keep Smiling ! !